Program and portfolio managers must learn to share their roles with smart machines. 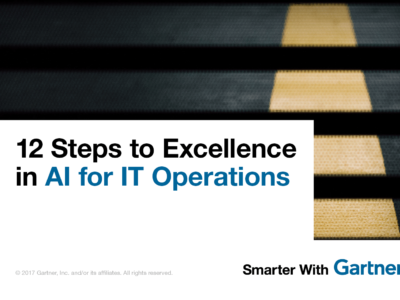 It is critical that CIOs and program and portfolio (PPM) leaders understand how artificial intelligence (AI) and smart machines can complement and change their role in the future. Today’s IT projects require a large amount of human input. All of the information and knowledge in a project must be collated and consumed by human beings. The first change for PPM professionals may be to change themselves. 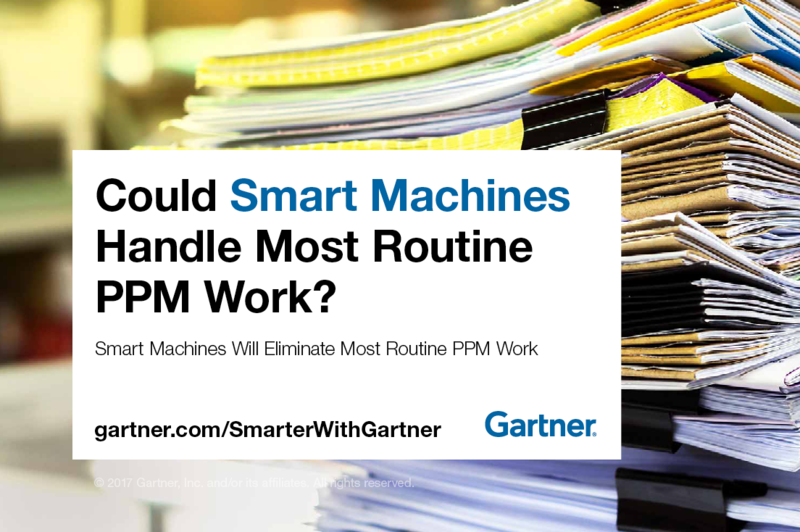 Gartner estimates that by 2030, as much as 80% of routine work— which represents the bulk of human hours expended across today’s PPM disciplines — could be eliminated as a result of collaboration between humans and smart machines. A smart machine never forgets, it forages for relevant data, updates information and statuses without being asked, predicts potential variance from plans and expectations, and offers data-led actions and recommendations. The human project manager will compliment this digital workhorse with their intuition, understanding of how to motivate teams, and political savvy in shepherding other humans toward completing tasks and projects. 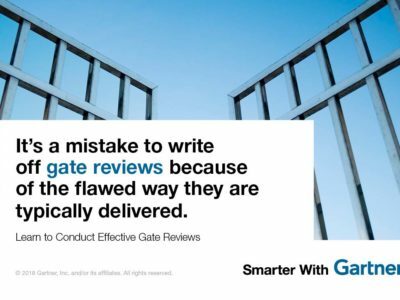 This is a contrast to the role of the modern-day program and portfolio management leaders who spend a lot of time defining and assembling information for executives to use in their decision-making. Smart machines will link goals, strategy and the potential and actual investments that support them. To stay relevant, PPM professionals must take on a much broader scope of skills and approaches, and be versatile. Much of the technology provisioning will be delivered via the internet and external providers. This is likely to squeeze out the trend of full-time project managers in favour of “project managers everywhere”. As automation increases the function will become increasingly less tactical. The employee time saved can be spent managing and inspiring change that aligns with the evolution of the PMO into a strategic change function. Gartner analysts will provide additional analysis and information on PPM trends at the Gartner Program & Portfolio Management Summits 2017 taking place June 5-7 in Orlando, Florida and June 12-13 in London. You can also follow news and updates from the events on social media using the hashtag #GartnerPPM. Many client organizations and industries are approaching digital business incrementally instead of taking a broader transformation approach….